After 26 months of discussion and exploration, we have finally completed our online discussion on the core teachings of the three great classics in Chinese Civilization. 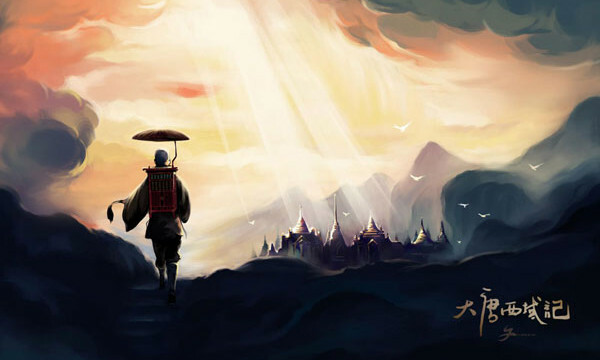 With the focus on personal and spiritual cultivation, we first learnt about the transcendental reality and the way towards it from Laozi’s Daodejing. After understanding our self, and going beyond it, we then learnt the importance of fulfilling our personal, family and social responsibility in the world through practical advises from Confucius’s Analects. 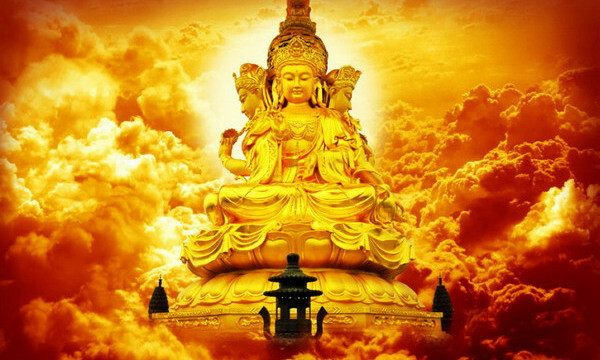 Finally, after mastering the world and the reality beyond it, we learnt from the Buddhist Diamond Sutra that all teachings and phenomena, no matter how extraordinary and spectacular, are temporary like dreams and bubble and therefore are not to be attached. If we can gain a throughout understanding of these three classics, and integrate them into our daily life, then a solid foundation is laid on the roadway of personal and spiritual cultivation. Hopefully these discussions could serve as an opening door and overall guidance for further studies and practice. This concludes this series of our online classes. As Laozi said, “excessive speeches exhaust our reason, it’s better to stay centered.” The foundation understanding of cultivation has been laid and it is time for practice and integration into our life. If you have further question on the topics mentioned, you may contact me for advice or further discussion. Thank you for your interest and support all along. Best wishes to you in your life, studies, and practices. like dews and lightening, should perceived as such. “Subhuti, if on the one hand, someone gave away in alms (dana) the seven treasures inquantities sufficient to fill all the worlds in uncount-able aeons, and if on the other hand, a virtuous man or woman developed the Bodhi-mind, and received, held (in mind), read and recited even a four-line stanza of this sutra and expounded it to others, the latter’s merit would surpass that of the former. “In what manner should it be taught to others? By teaching it without attachment to form with the immutability of the absolute. “Why is it? 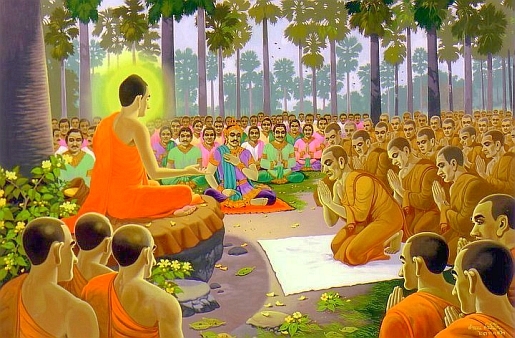 When the Buddha had finished expounding this sutra, the elder Subhuti, together with bhiksus, bhiksunis, upasakas, upasikas, and all the worlds of devas, men and asuras who had listened to His teaching, were filled with joy and believed received and observed it. When the Buddha about to conclude this sutra, he tested his student Subuti and asked: “when someone talk of the notions of self, others, living beings, and immortality, does s/he understand what i teach?” Subhuti answered: “no, because these notions too, are merely names and mental conceptualization, are not to be attached, and not to be understood as the ultimate truth from the Buddha.” The Buddha compassionately furthered: “Whoever made the intention of supreme enlightenment, should perceive as such, see as such, understand as such, and do not let teachings develop into fixed notions. And same applies to this conclusion as well. Once we embark on the journey to truth and spiritual enlightenment, teachers teachings knowledge method pathway technique experience will come. They are all to be treasured, but not to be attached. If we perceive them, see them, believe them, and understand them as this Sutra suggests, we will be walking on solid path. 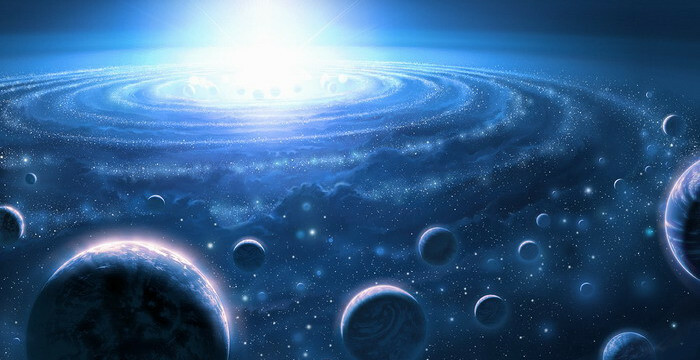 In advanced meditative state, one sees the limitless universe. Is this real? Is it the end? Some arrives there and claim it is so. The Buddha says in this chapter: despite of its magnificence and splendor, it is not the ultimate, as when we attach ourselves with it, we becomes and limits to it. Therefore the Buddha merely describes the state, and discern it as a temporary phenomenon just like names. Having said so, encountering such phenomenon already indicates some achievement in internal work. We need to remain aware, and keep going in our inner and outer work. Subhuti replied: “Many, World Honored One. Why? Because if they really existed, the Buddha would not say they were particles of dust. And why? Because when the Buddha speaks of particles of dust, they are not, but are (expediently) called, particles of dust. World Honoured One, when the Tathagata speaks of worlds, they are not,，but are (expediently) called, worlds. Why? “Because if they really exist, they are just agglomerations. “Subhuti, that which is called an agglomeration cannot be spoken of, but the vulgar man has longing for and attachment to this thing. Tathagata in Chinese is “如来”, which means “as is”, or “as is originally is”. This “original is” is a state prior to all mentalizations and descriptions, and is beyond the descriptions of coming and going, sitting or lying, a he or a she, etc, which are identifications built on the notions of time and space, and on the notion of “self” vs. others. Therefore, whoever say here comes the Tathagata, or the Tathagata is sitting, lying, eating, or even teaching, does not really understand the real meaning of Tathagata. “Subhuti, if someone says the Tathagata comes or goes, sits or lies, he does not understand what I mean. “Why? Because the Tathagata has neither whence (to come) nor whither (to go); therefore, He is called the Tathagata. Ordinary people claims the virtue as theirs, which reinforces and continues the “self” and its way of life; Bodhisattva dedicates the virtue for the well-being, fulfillment, growth, transcendence, and liberation of themselves and all beings. “Subhuti, if (on the one hand) a Bodhisattva gave in his practice of dana, all the seven treasures in quantities sufficient to fill worlds as many as sand-grains in the Ganges, and (on the other hand) another man comprehended that all dharmas were egoless and thereby achieved perfection of patience (ksanti), the latter’s merit would surpass that of the former. “Why? “Subhuti, Bodhisattvas should have no longing and no attachment when they practise meritorious virtues; therefore, they do not receive a reward. After expounding that real Buddha is beyond image and sound, the all compassionate Buddha reminds us that real Buddha does not mean no image and no sound either, and that we should not satisfy with just the proper understanding of truth and should diligently practice it in our life. Why did the Buddha say so? Because our mind likes to attach itself to dualistic opposites: when someone say of something, we immediately follows the “something”; when someone say of nothing, we immediately follows the “nothing”. In reality, we are neither “something” or “nothing”, neither the content or context, neither the teaching or non-teaching, this is the essence of Zen (Chan). Secondly, after getting the above proper understanding, it is tempting for our mind to declare victory and say that, ok, we have got it now, we have arrive the final destination, and that there is no more work need to be done, nor anyone there to do anything anymore. Is it really so? Only your honest self could tell. What we usually find in the history and even nowadays, is that many students and teachers had fallen into this side track understanding, became an “enlightened” person in understanding, but lack honesty, virtue and diligent to make further progress (if not recline). This is why the Buddha said while perfect appearance doesn’t necessary implies Buddhahood, to claim the lack of it (appearance an virtue) is Buddhahood is wrong either. In actual practice, there are standard stages of transformation one would go through, which are reported by advanced masters across different traditions and geographical regions. In the Buddhist tradition, a detailed report of truth and roadmap towards it is provided in the Shurangama Sutra (see suggested Buddhist readings). 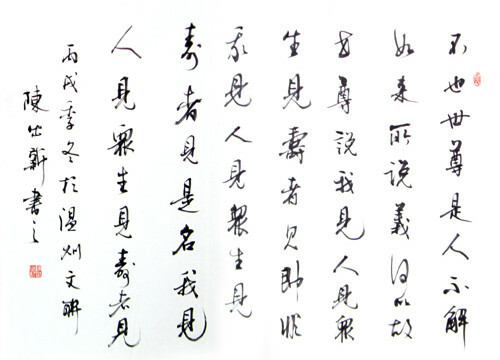 Therefore, the Shurangama Sutra saids, “理即顿悟, 乘悟并消；事非顿除, 因次第尽” (understanding can be sudden, which sweeps away all mental blockages, practice is not sudden, which get perfected in stages). “Subhuti, if you think it while developing the Perfect Enlightenment Mind, you will advocate the annihilation of all Dharmas. “Do not have such a thought. Why? “Because one who develops the Supreme Enlightenment Mind, does not advocate the annihilation (of things). Further to our earlier discussion “Buddha beyond form and appearance” and “Buddha beyond form and no-form“, in this chapter the Buddha reiterates, real Buddha is beyond appearance and sound. If one “sees” or “hears” the Buddha, one has probably been side-tracked. Next time you see or hear something resembling something like the Buddha, be careful! Maintains your focus and stays at your center. Further to his earlier teaching “are we living beings, are we not“, the Buddha reminds Subhuti again in this chapter, “don’t think that I have liberated any being, for if you think so, i will be fallen into the limitation of a self, others, beings, and immortals“. As devoted students of healing and enlightenment, don’t we all want to liberate suffering through various forms of healing and charity? Is suffering real, and the liberation of it through various means of healing to be done then? Yes, indeed the suffering and healing are both real. Otherwise the Buddha would not have taught on earth for 40+ years! The reason why the Buddha told us that no beings have been liberated by him is that, he knows that when we live our lives and heal sufferings, we easily fall into the temptation of the labels “healers” who heal “others”. This labeling and claiming credits are to be avoid, not the healing work itself. For if we get sucked into these labels, we would be hijacked and sidetracked by our own ego on the road to true healing and enlightenment. What then, could be a proper way to live our life and do our healing work? Refer to our earlier discussion: “how does Bodhisattva do charity?“. “Subhuti, what do you think? “Subhuti, you should not think so. Why? “Subhuti, (when) the Tathagata speaks of an ego, there is in reality no ego, although common men think so. “Subhuti, the Tathagata says common men are not, but are (expediently) called, common men. How much will you contribute to support yourself? How much more would you contribute to support your family? How much more will you contribute for your community, country and the world? If we contribute 10 dollars, we can buy someone a meal; if we contribute 10 million dollars, we can perhaps build a school; if we contribute 10 billion dollars, maybe we can establish a fund which feeds an organization or a small country. 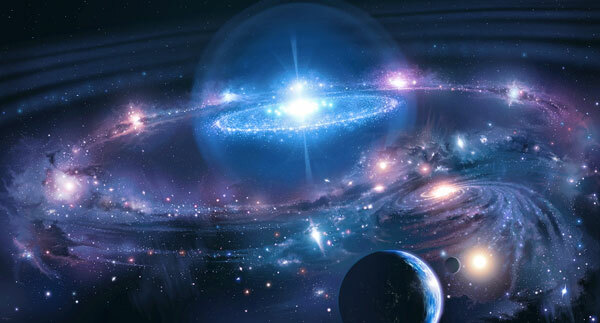 What if we contribute the wealth of the entire world, in all potential worlds and universes? 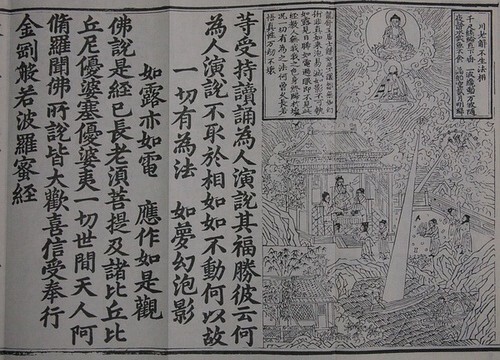 We would imagine that a lot could be done, which leads to infinite merit… Yet, according to the all knowing Buddha (who possesses 5 eyes which penetrate all truths in this universe), the merit of contribute all wealth of all universes, is not even comparable to the merit of studying, following, practicing, and sharing this Sutra. Do you know why? Do you believe?